RAW HOLLYWOOD : BIG SEAN RELEASES NEW VIDEO FOR "BOUNCE BACK"
BIG SEAN RELEASES NEW VIDEO FOR "BOUNCE BACK"
Big Sean decided to release his video for his newest hottest track "Bounce Back". If you don't remember a few months back, the rapper released two new tracks in one day, one of the songs being this one. He also released "No More Interviews", which is good track as well. Maybe we can expect a video for this track up next! 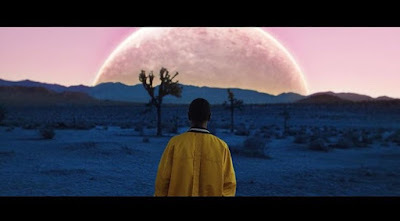 The video for "Bounce Back" gives a nice amount of scenery, as well as some pretty trippy scenes. Of course he couldn't talk about makin that azz bounce back without someone showing the actual act. You only get two pieces of eye candy in this video, Big Sean and video model featured. There were other visuals featured throughout the video that I'm sure had some type of hidden meaning, including blazing fires and a baby. This song will be featured on his album that is in the works, and he also is working on his second joint project with bae Jhene Aiko. Neither albums have release dates but the fans will be patiently waiting for both to drop. While we wait on more info about the projects, watch the "Bounce Back" video below.